Your business is unique, and so is the way you work, and the way you store your information. Your software shouldn’t limit you. With SKYSITE, you store your information in the way that makes sense to you. 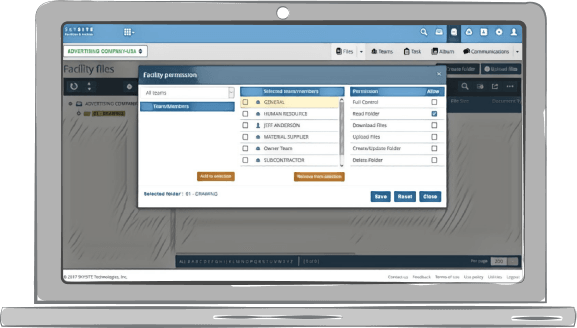 And, you can set permissions for your team, vendors and partners to make sure everyone sees what they need, and isn’t bogged down by files they don’t. Organize your files and folders according to your needs. Set and manage permissions for your team and partners. Take your documents anywhere, on any device. Markup and share documents, right from your mobile device. Keep your team organized and on track. Get SKYSITE today!